Gadgets have become so important they're a part of how people look at you. A phone can tell a lot about who you are. 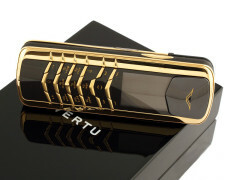 Fashion phones… well… let's say they leave little to the imagination. 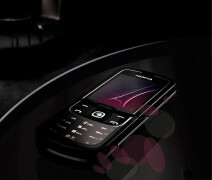 There are handsets that make an impression without breaking the bank. Others have big spender written all across their beautiful handcrafted bodies. But let's face it, some phones are just as subtle as a yacht the size of a small aircraft carrier that you lovingly call "the boat". Like it or not (and let's be honest here - we all like it) mobile phones are long beyond the calling and texting. In honesty, today's story is more about the shopping and spending but who says a phone should be all about speed, skill and tech? Oh, whoa, wait a minute. We usually do, don't we? Alright, fine, but let's pretend. Maybe there's a bit of that in all of us and looking our best is sometimes as important as staying in touch. We'll be looking back at mobile phones that we normally dismiss as overpriced and underspec'd. 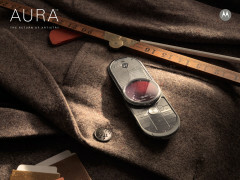 But if history has taught us anything, it's that fashion phones are here to stay. They have their customers and, hard as it may be for your average phone geek to admit it, do carry their own value. Some of the high-end smartphones are impressive gadgets but they don't quite make sense for all dress codes. In certain places, a designer phone will give you all the Wow effect you might need. From makers that specialize in limited edition diamond-encrusted handsets to designer-branded mass-produced phones, there is more than one way to play the game. We're back after the break to warm up with those mass market handsets that sport a designer logo.